I don’t know about you, but I grew up thinking and believing that butter is BAD. After we heard from the “experts” that saturated fats were the cause of heart disease and cancer, and that real, unadulterated butter would contribute to weight gain and clogged arteries, my family opted for margarine and stuck with it for most of my childhood. I must say, I do weep a bit for all those glorious, missed opportunities I could have had with butter, and even more so, by how much it could have nourished my growing body. But at least I’m getting the Truth now! Butter is healthy. Butter is good. Butter is better! And I’m not going to waste any more time not enjoying it. Only big blobs allowed from here on out! Below you will find the true facts about butter and why it is superior to all the other alternatives and imitations out there. As I’ve mentioned before, I get a lot of my information from the Weston Price Foundation, and this time is no exception. I really trust the research Mr. Price did, and the community of people that have carried on his legacy and mission. This information is sourced from their findings. VITAMINS: Butter is a rich source of easily absorbed vitamin A, needed for a wide range of functions, from maintaining good vision to keeping the endocrine system in top shape. Butter also contains all the other fat-soluble vitamins D, E and K2 which are often lacking in the modern industrial diet. MINERALS: Butter is rich in important trace minerals, including manganese, chromium, zinc, copper and selenium (a powerful antioxidant). Butter provides more selenium per gram than wheat germ or herring. Butter is also an excellent source of iodine. FATTY ACIDS: Butter provides appreciable amounts of short and medium chain fatty acids, which support immune function, boost metabolism and have anti-microbial properties; that is, they fight against pathogenic microorganisms in the intestinal tract. 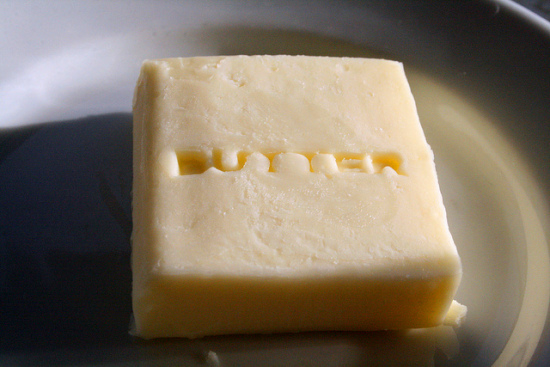 Butter also provides the perfect balance of omega-3 and omega-6 essential fatty acids. Arachidonic acid in butter is important for brain function, skin health and prostaglandin balance. This chart is a winner. I Am No Longer A Raw Milk Virgin! I drank raw milk today! Woo-hoo! We stopped by the Hillcrest Farmer’s Market this morning with one thought in mind … hunt down the beautiful dairy people who make beautiful milk and cheese the old-fashioned way: raw. That means no pasteurization and no homogenization. So cream on the top and total goodness all the way through. 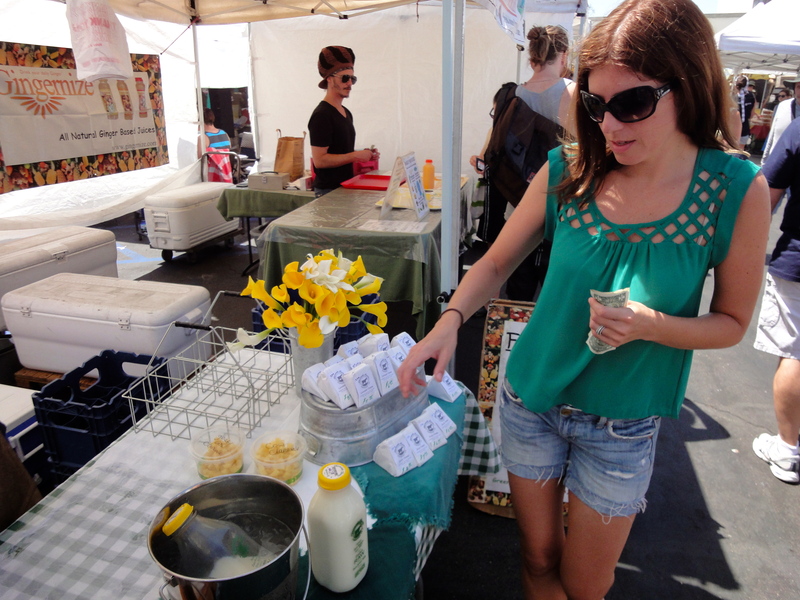 It was a blazing hot gorgeous day here in San Diego and the vibe at the market was perfect. A one-man band playing on the street, lush, fresh, local, organic fruits and veggies proudly on display, grass-fed meats flaming on the grillers and happy people looking for some happy food. Such a good day to fall off the milk wagon. I am absolutely becoming obsessed with coconut oil! I’m cooking with it, using it as a lotion on body and face, and now taking a tablespoon or two of it every day to aid in the regeneration and restoration of my beautiful bowels. Amen! The more I learn about it’s health benefits, the more I’m willing to use it liberally. Whole Self Health, in my opinion, is a pot full of many different ingredients. A bit of food nourishment here, a little inner healing there, a dash of love everywhere, and what have you, and you’ve got yourself a very highly functioning Self. This has been my experience anyways, and that’s the only place I can speak from. We are holistic beings yes? Yes. So sometimes, or all of the time in my case, we need holistic healing. Antiviral, antibacterial and anti-fungal properties, so anything that might fall into these categories could be helped. Some examples would include: athlete’s foot, eczema, herpes, candida, influenza, AIDS, urinary tract infections, ulcers, diaper rash, hepatitis C, etc. 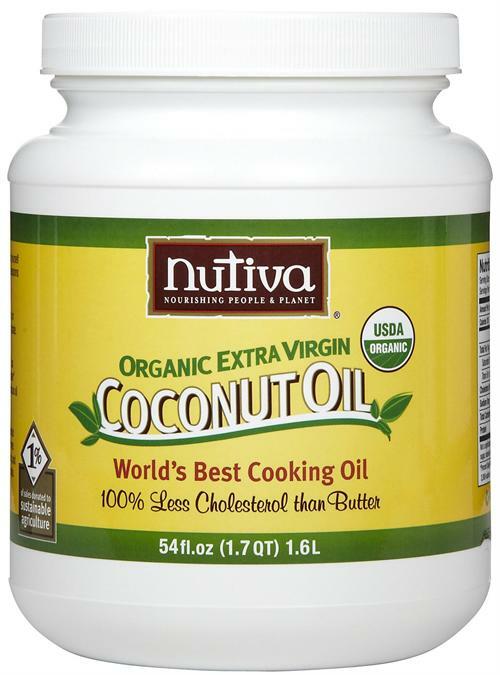 Unlike trans fats, coconut oil does not form any harmful by-products when heated during cooking, so it is a great option when frying. Increases energy – Nature’s richest source of medium-chain triglycerides (MCTs), which means it is very easily digested and immediately burned by your liver for energy without any insulin spike. Supports beauty – use as a lotion to alleviate dry skin, prevent wrinkles, eliminate dandruff. Also use it on psoriasis, dermatitis, eczema or any other skin ailment. Has been documented to aid in the relief of digestive disorders: irritable bowel syndrome (IBS), Crohn’s disease, constipation, diarrhea. And since real life testimonials are sometimes better than research and case studies, you can check out some of those HERE. The oil will solidify in cold temperatures and become liquid in warm temperatures. This is a good thing, so no worries. The oil should always be crystal clear/white. If it’s any shade of yellow, it’s not the real thing. Make sure you buy cold pressed (which means destructive heat has not been used to extract it), organic (chemical free) raw/unrefined (least amount of processing) and in a glass jar (the oil will leach chemicals from plastic). It should have the aroma of coconuts! No need for refrigeration and will stay fresh for up to 2 years! GO SLOW if ingesting this as a supplement. You may experience nausea or diarrhea if you take a big heaping tablespoon of it and never have before (this is actually a detoxification affect), so start with maybe a teaspoon/day and increase the amount every week or so. 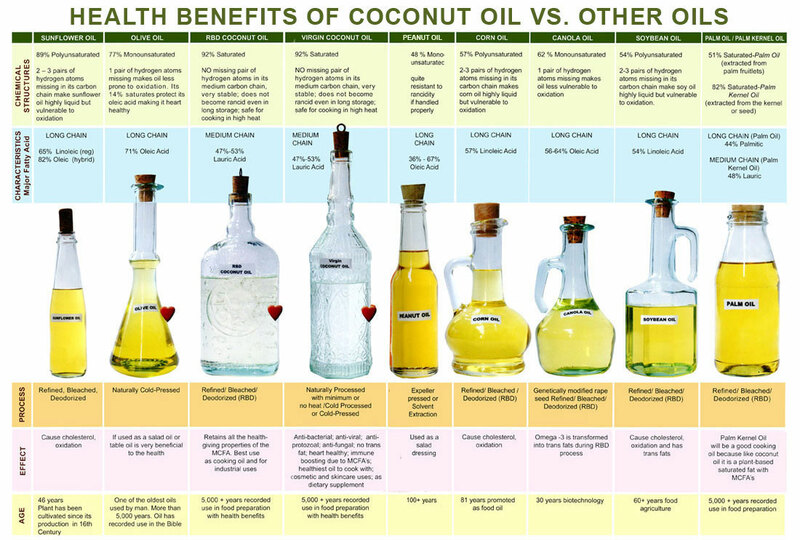 For those interested, here is one man’s story of how coconut oil helped heal him from Alzheimer’s.